The Kirkus Reviews are in! Kirkus Media has just released its reviews of our newest additions to the Move Books family. It’s a home run for both! We are honored to be selected. Congratulations to our authors, C. Taylor-Butler and Paul Greci! A boy, his sister and their three friends discover that their parents—and they themselves—are not what they seem. When their uncle challenges seventh-grader Ben and his little sister, April, to beat a special computer game in a week, they employ the help of their neighborhood friends: Grace, Carlos and Serise. Together, the kids race against time to decode hieroglyphics, avoid booby traps and collect ancient artifacts. But as the game continues, it becomes strange, as does their parents’ behavior. They begin to feel they’re actually in the projected images of far-off locations—and sometimes they see their parents while there. But that doesn’t make sense….Though the mystery is spoilered by the flap copy, the fact that the characters don’t figure things out immediately makes sense within the context of the story. While the real action comes toward the last half of the book, the first half should keep readers (at least those who avoid the spoiler) engaged as the game is so interesting. And while Ben is likable, he’s no fearless leader but a fallible boy who does his best to be courageous in frightening situations. That the main characters are of diverse ethnic origins is laudable and a breath of fresh air, as is the lack of stereotypes and clichés. 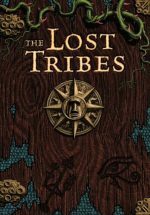 Publishers note: The spoiler that appeared on reviewer’s copies of The Lost Tribes has been removed from the book jacket. A fateful kayaking trip forces Tom to grow up fast while he faces dangers he only ever dreamed about. When his mother died in a biking accident three years ago, Tom had to struggle to find his way back to a normal life. Dad was no help, as he reacted to the loss of his wife by shutting down and shutting out the rest of the world. But a kayaking trip in Alaska’s Prince William Sound seems to be a turning point for the two of them, a chance to start living the rest of their lives as a family again. 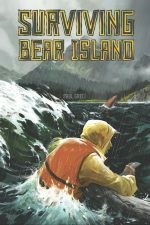 Unfortunately, a choppy sea and a bad accident rip them apart, and Tom is forced to struggle for his own survival on Bear Island. Facing starvation, injury and the eponymous bears, Tom relies on the hope of finding his father to get him through his ordeal. Greci delivers a compelling narrative that manages to keep a quick pace despite being built around one character alone in the wilds. Flashbacks to the moments before the accident and memories of life before the trip work well to explain certain plot points and to add texture and meaning to the first-person narrative. The tension is well-crafted and realistic.